I love winter. I know that sounds bizarre but I really do, I love the heat and I love being tanned and in shorts and flip flops but there’s something so much more enchanting about winter. I must say though, my love is not unconditional, I love the winter when it’s cold but crisp and sunny. When I can wrap up in big coats and furry hats and not feel guilty about that sneaked mince pie as I know all evidence will be well hidden for a few months. All good feeling goes swiftly out the window when it rains however. I bloody hate the rain. Luckily for me though, we haven’t had much so far (touch wood) so winter’s in my good books at the moment. For me, one of the very best things about winter is that we can now start to mull things. Is there anything better than a cup of something warm and spiced (and boozy) when it’s cold outside? I think not. Whilst we spend most of the year chilling our wine and putting ice in our gin and tonics in attempt to make them cold and refreshing, this time of year that’s the furthest thing from our minds. The snow hasn’t quite made its way to london yet but I don’t think it’ll be long before it’s settling around us in a pretty, and very inconvenient blanket. When that time comes, I think the best thing to do is to venture no further than your nearest supermarket (or better yet, get everything now and have it in the cupboard ready to go), mull some cider and curl up inside. Preferably by the christmas tree whilst watching love actually. But maybe that’s just me. 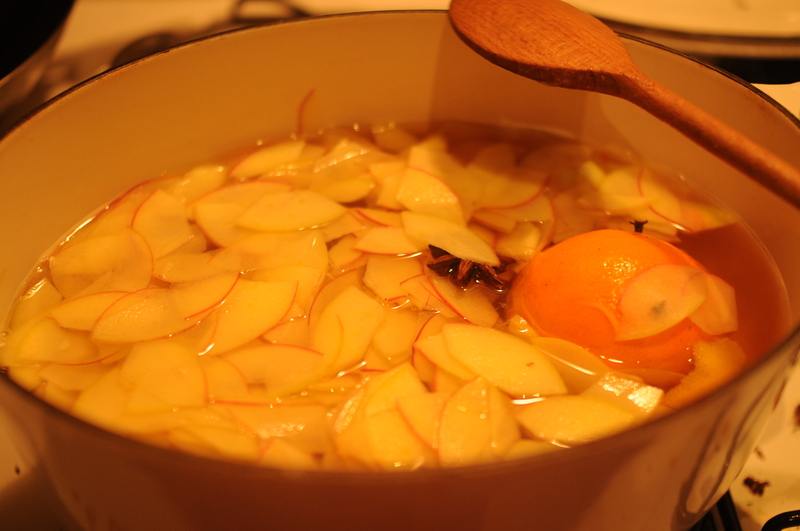 I know mulled wine is the far more traditional drink but mulled cider is so much lighter. Don’t get me wrong, I love my mulled wine, I really really do but last year, whilst wandering around borough market in the snow, I chanced upon a mulled cider stand and I’ve never looked back. Also, let’s be honest, we are a country famous for our apples and our cider and it seems truly silly not to embrace that. 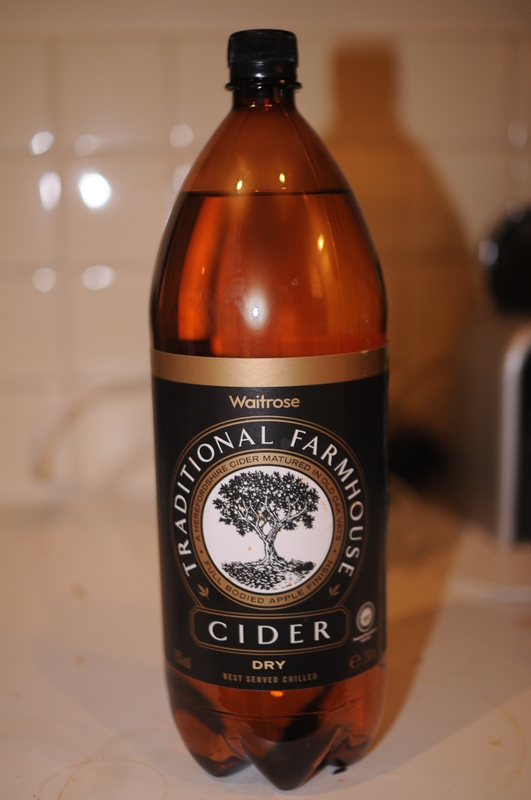 I must admit to not being the biggest fan of cider normally, it’s not a drink I would ever order but heat it up, chuck in some spices and it wins me over every time, I guarantee it’ll do the same for you. For some reason it’s something that people seem daunted by, finding it easier to buy their mulled cider/wine ready made. But once you see how easy this is you’ll never feel the need to do that again. 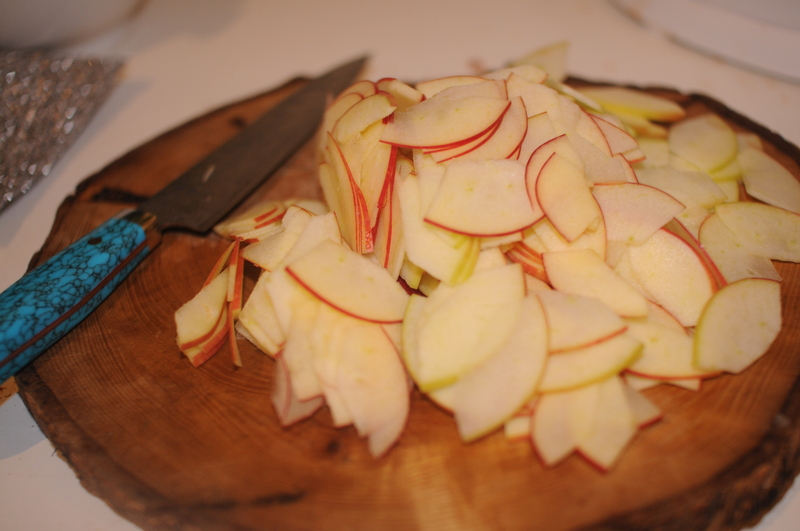 Take your cider and pour into a heavy based saucepan. Stud the orange with the cloves and pop into the pan, add all the other ingredients except for the apple and put the pan over a low heat. It’s very important not to let the cider come to the boil as that will evaporate off all the alcohol, which is not really what we’re after here. You want to get it hot so that all the flavours can infuse but not simmering. And add them to the pot once everything else has been getting cosy for about 30 minutes. If you put them in right at the beginning, they’ll have completely fallen apart by the time it’s ready. All thats left to do now is sit back and wait. I find that about another 30 minutes will usually do it but obviously the longer you leave it, the more spiced and delicious it will be. And that’s it, all you need to do now is ladle it into some glasses, curl up and enjoy, in front of a fireplace if possible.